This year is shaping up to be a big one for business in Canberra and the Capital Region. We all know that it will be a year of significant challenges for the private sector and the ACT economy but there have been a number of significant “wins” for business recently. The protracted period of uncertainty caused by our biggest industry, the Australian Public Service (APS), implementing major cutbacks has had a significant impact on employment, wages, spending, business investment, and business and consumer confidence in the ACT. 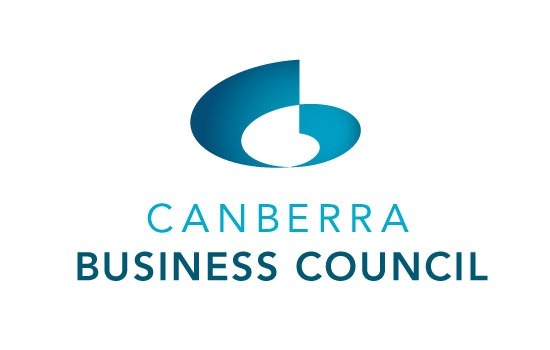 Rather than adopt a negative position Canberra Business Council is leading the charge to work with the ACT and Federal Governments to look for opportunities to minimise the impact of Commonwealth contraction while maximising opportunities for growth and job creation in Canberra’s private sector. The Chief Minister Katy Gallagher delivered an upbeat address at Canberra Business Council’s annual ‘State of the Territory’ Luncheon at the National Gallery on 13 March 2014. During her speech, the Chief Minister released two important initiatives – the Digital Canberra Action Plan and the final City Plan – aimed at transitioning Canberra to a modern digital city and improving the liveability of our city by developing the city centre. These announcements represent some big “wins” for business. In February 2014,Canberra Business Council in partnership with the Master Builders Association ACT, The Property Council of Australia ACT, Consult Australia, and The Planning Institute of Australia presented the ACT Government with a ‘Call to Action’- a submission which outlined the regulatory and process reforms needed to keep the building industry in the ACT growing. The ACT Government listened and, as a direct response to the advocacy of the industry groups announced a stimulus package on 6 March 2014. 1. Releasing at least four civil contracts for estate works in Moncrieff. This commitment to fast track the development of Moncrieff will boost the sector through a direct investment of $150 million from the civil contracts and flow on work for the ACT economy of $400-$500 million work beginning next year, with the construction of at least 500 dwellings. 4. Drafting of legislation to facilitate major projects across the ACT. In February 2012 Canberra Business Council presented a proposal to the ACT Government to establish a catalyst program to be known as Digital City: the Canberra Innovation Challenge. The ACT Government listened and in August 2013 announced the $300,000 Digital Canberra Challenge which is managed by the eGov Cluster, in partnership with NICTA, CollabIT and Canberra Business Council. In March 2012 CBC also developed a Small Business Policy Statement which included a recommendation that the ACT Government support a Digital City proposal to stimulate innovation around new technology-based businesses. The ACT Government listened and in mid-March 2014 the Chief Minister released the Digital Canberra Action Plan – a $4.4 million investment in a strategy to accelerate business engagement with the digital economy and create a networked ‘smart city’, a truly digital city. The Chief Minister also released the final City Plan on 13 March 2014. * Permanent bridging of the divide between the city and the lake. Canberra Business Council has lobbied for a world-class convention centre for many years to increase tourism and diversify the economy. The Council welcomes the decision to progress the planning of the ‘Australia Forum’ in this precinct. Before last year’s Federal Election, Canberra Business Council released A Plan for Canberra, which called for investment in enabling infrastructure that would diversify the ACT economy and create jobs. The Plan set out 15 initiatives with investment in tourism infrastructure a priority of the Plan. A new Convention Centre (the Australia Forum) was at the top of the list. * On 24 February 2014, the Hon Jamie Briggs MP, Assistant Infrastructure and Regional Development Minister and Minister responsible for the National Capital, met with the ACT Chief Minister and a small delegation of ACT business people. Our early discussions have been productive and the Minister has shown encouraging interest in working with the ACT Government and private sectors on key priorities for Canberra and the region. * The Joint Standing Committee on the National Capital has agreed to participate in a June 2014 Agreement for the 1st Pollie famil with members of the Canberra business community. * Progress on the Australia Forum. It is estimated the Australia Forum will generate $762 million and over 1,000 jobs. What is really important to note is that for every dollar a conference delegate spends while in Canberra, only 10 cents goes to the convention centre, the other 90 cents goes into the general economy towards hotels, hospitality and retail. This would provide a huge boost to our local businesses. TradeStart support provides a vitally important resource to assist SMEs into export. Canberra’s business sector, though small compared to the major metropolitan centres, includes some of Australia’s most innovative export businesses. Companies such as Aspen Medical, Seeing Machines, Inteledox, Funnelback, Windlab, Sentinel and many other companies at the forefront of innovation in their respective fields. In its 2010-2011 Budget, the Federal Government announced funding cuts to the TradeStart Program and when the tender for the new TradeStart Program for 2010- 2014 was released by Austrade, the ACT and Capital Region was excluded from the list of proposed office locations. Exporters in Canberra were to be serviced from South Sydney or Wagga. Canberra Business Council was so exasperated at this outcome that it decided to make a point by submitting a nonconforming tender which argued the case for a TradeStart office in Canberra to service the ACT and Capital Region export community. The bid was unsuccessful but the Council continued to lobby successive Ministers for Trade about the importance of a TradeStart representative being based in Canberra to provide higher levels of service to Canberra’s high-technology and services export sectors. In February 2014 Austrade reinstated a Tradestart position in the ACT – another “win” for businesses in Canberra and the surrounding region. This is not a bad start to the year. These successes demonstrate that the combined efforts of the private sector and government in a small city-state like Canberra can deliver growth in investment, exports and jobs and they can produce an impressive level of economic resilience. * High Speed Rail connection between Sydney and Canberra as the first stage of an east coast HSR network. The Council looks forward to continuing to work closely with the ACT and Federal Governments to restore business confidence and drive growth and jobs for our community. T: 02 6247 4199 www.